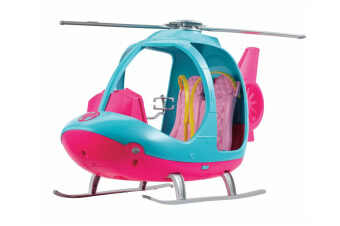 With the Barbie Travel Helicopter, transport your Barbie Dolls in style. Let your imaginations fly free as you take to the skies, enjoying the view below. Join Barbie on her exciting adventures, as you explore her world and fly together. 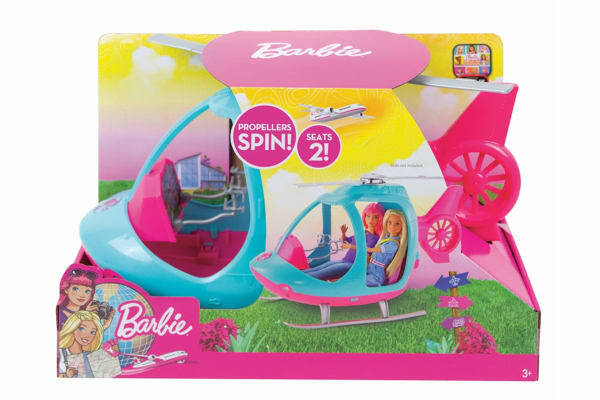 With seating for two, carry Barbie and a friend safely with seat belts and controls inside the cabin. The Barbie Travel Helicopter inspires imaginations to take off and explore the world during playtime!